Over the holidays we had a serious amount of couch time and a virtually unlimited number of TV channels. 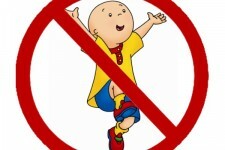 One thing everyone can agree on: Caillou is a pest. Even the grandparents cringe when this show comes on. My friend recently posted on Facebook that her son asked what planet Caillou was from and she answered Canada. Even Caillou’s parents are unbelievable. Can they do no wrong? That little whiner complains about everything and his parents have the patience usually given only to saints. Caillou and his primary-colored world, er. I just don’t get it. 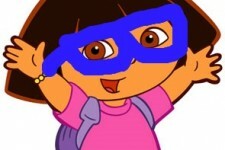 And Dora, please! Where’s the ocean? Are you kidding me? It’s right next to you! Give these kids a break. However, I do like to explain the plan for the day in Dora terms: “Breakfast, Shower, Park!” And then if he actually gets dressed I do a little “We did it” dance myself. 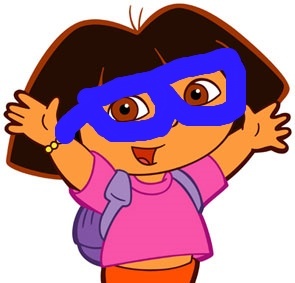 Caillou???………..Dora???? I must be out of touch!! I used to work at a PBS station at the control board airing shows. There are several Canadian kids shows which scarred me for life. Included in that list are Caillou and Big Comfy Couch. As a Canadian, this makes me laugh. I didn’t know Big Comfy Couch was Canadian! Another planet? I can’t explain Caillou since we never watched it much except that it is French and his name means little pebble, so maybe that’s why he’s bald. Big Comfy Couch is great. Dustbunnies! All I know about Caillou is that he is bald! Why????!!!!????!!!! Are you makn’ fun of me, old thang’. The colour orange occurs between red and yellow in the visible spectrum at a wavelength of about 585–620 nm, and has a hue of 30° in HSV colour space. It is numerically halfway between red and yellow in a gamma-compressed RGB colour space, the expression of which is the RGB color wheel. The complementary colour of orange is azure, a slightly greenish blue. Orange pigments are largely in the ochre or cadmium families, and absorb mostly blue light. Caillou is a children’s television show based on the books by Christine L’Heureux and illustrator Hélène Desputeaux. Many of the stories in the animated version begin with a grandmother (who is also the show’s narrator) introducing the story to her grandchildren, then reading the story out of the book. Caillou first aired on Canada’s Teletoon channel in 1998; it later made its US debut on PBS on September 4, 2000. The action of the story takes place in Canada, though that is never explicitly referenced in the dialogue. In French, caillou usually means “pebble” or “stone”, but it can also mean “bald head”, which was most likely the writer’s intention. 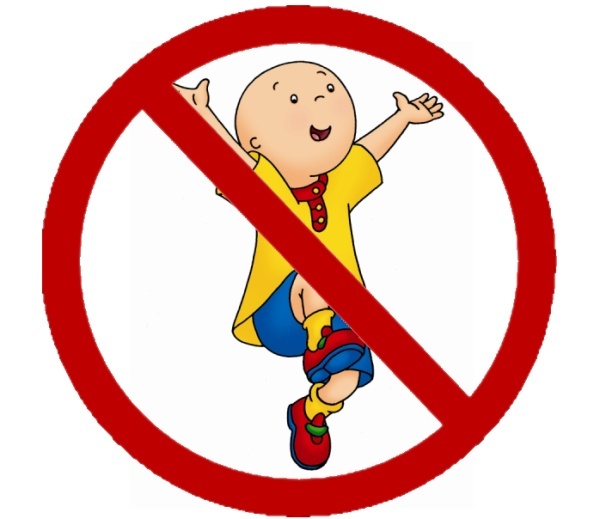 The official Caillou website answers the common question “Why is Caillou bald?” by explaining that the original storybook character of Caillou was much younger than the television character, and like many very young children, had no hair.